Notifications: These are great for keeping everyone in the loop regarding projects that are managing. Organization: The subtasks feature is very great at keeping all of the steps of a project in one area. Integration: It is easy to keep tasks up to date by using their email feature. The Gantt charting needs some work. The lists of what tasks are assigned to you can get long and daunting because it shows up in this list no matter how far out it is scheduled. The update emails don't have enough information to always know which task the update is related to. To fix this you have to put the name of the parent task in the subtasks. 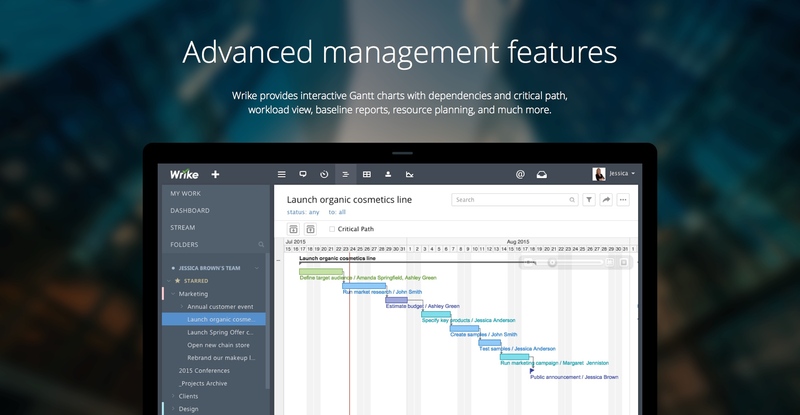 Wrike is the best project and task management system I've ever used by far. I like that there's always more to learn; I like the community (including the blog, videos, and social media) and how thoroughly it covers all our needs. We've been using since 2011 and rarely experience downtime. Wrike was the right blend of feature-rich and user-friendliness. Yes, it's definitely bigger and more complicated than software like Trello, but not as intense as something like Microsoft Project. It beat out Basecamp because Basecamp makes projects a little too siloed on their own while Wrike generally feels more like a collaborative tool. Able to track, maintain and adjust deadlines for projects much more efficiently and accurately. Able to manage workloads better.